If you want to read my coverage of NASCAR's Chase for the Cup conspiracy-gate please go to Motor Sport's website www.motorsportmagazine.com. In this space this week I want to focus on conspiracy-gate participant Roger Penske's IndyCar team. With three races remaining it looks likely that Helio Castroneves will win his first IndyCar championship this year. Scott Dixon and Chip Ganassi's team put together a strong mid-season resurgence in July and early August but a pair of disastrous races at Sonoma and Baltimore put a serious dent in Dixon's championship run and allowed Team Penske and a consistently mediocre Castroneves to extend his points lead. Whatever performances the always racy Dixon produces in Houston and California next month, Castroneves can plod steadfastly to the title with a single win at Texas in June and a long run of top ten finishes. If he pulls it off the 38-year old Brazilian without doubt will be one of the most lackluster champions in motor racing history and that's exactly what IndyCar doesn't need. 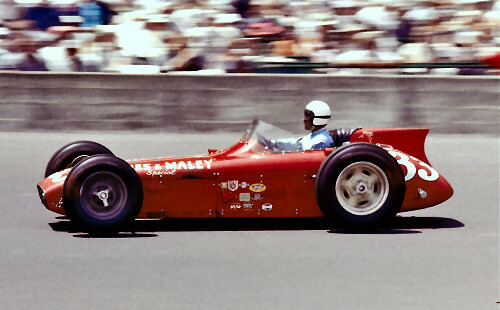 Back in 1958 the great Tony Bettenhausen won his second Indy car championship without winning a race, but unlike Castroneves he had a solid record of four second places, a fourth (at Indianapolis aboard one of Quinn Epperly's state-of-the-art laydown Offy roadsters) and three fifths. Bettenhausen took his first Indy car title in 1951 in dominant style, winning eight of 14 races, all scored on dirt tracks. Known as the 'Tinley Park Express', the Chicago born and bred Bettenhausen made his name racing midgets immediately before and after WWII. During this time he built a huge fan following throughout the MidWest and continued to race midgets as his Indy car career unfolded through the forties and fifties. He was superb on the dirt and was the favorite at Indianapolis in 1961 only to lose his life when a mechanical failure resulted in a terrible accident the day before Pole Day while testing his friend Paul Russo's troublesome car. 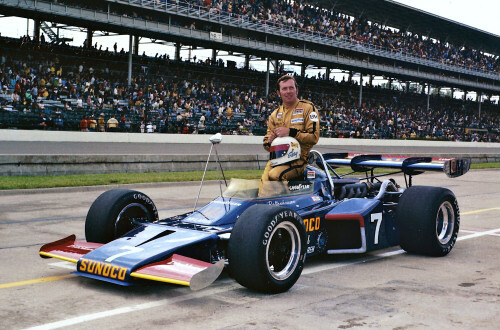 But the Bettenhausen legacy was assured by Tony's sons Gary, Merle and Tony Jr. All three raced Indy cars with Gary starting no fewer than 21 Indy 500s and dominating the 1972 500 in a Penske McLaren until a late-race magneto failure allowed teammate Mark Donohue to score Penske's first Indy 500 victory. Merle also raced Indy cars in the late sixties until losing an arm in an accident at Michigan while Tony Jr. raced Indy cars in the eighties and early nineties and established himself in 1986 as a proud CART team owner. Tony Jr. employed ex-Ferrari F1 driver Stefan Johannson, among others, and gave Castroneves his start in Indy cars in 1998. Tony Jr. was a fine fellow who sadly lost his life in an airplane crash in 2000. 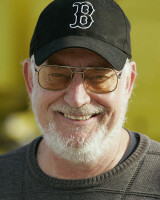 Gary made his USAC Championship debut in 1966 and won the USAC Sprint car title in 1969 and '71. He made his first start at Indianapolis in 1968 and scored his first Indy car win at Phoenix at the end of that year. Gary won again at Michigan in 1970 and was hired by Roger Penske in 1972. He won at Trenton in April of '72 and qualified one of Penske's McLaren-Offy M16s fourth at Indianapolis before going on to lead 138 laps until suffering an ignition problem with less than twenty laps to go, thus allowing Donohue to take the first of Penske's 15 Indy 500 wins. In 1974 Gary was seriously injured in a mid-season sprint car accident which sidelined him for the rest of the year and left him with restricted use of his left arm. As a result he was fired by Penske but continued to race Indy cars, midgets and sprint cars through 1993. Gary scored his best result at Indianapolis in 1980 finishing third in an outdated Wildcat-Offy against the Cosworth V8-powered front runners. Penske replaced Bettenhausen with Tom Sneva, a promising supermodified racer from Spokane, Washington. 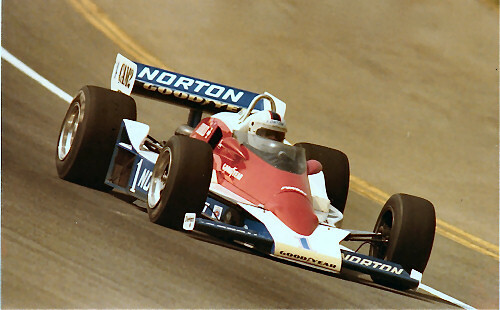 Sneva drove for Penske from 1975-'78 and won the USAC Championship in 1977 and '78. Sneva won two races on the way to the '77 title and took seven poles the following year but didn't win any races. He finished second seven times (Indy included) and also took four third places but that wasn't enough for Penske who fired Sneva and the and of 1978. Rick Mears had joined Penske in '78 as a part-time driver and he won three races in his first year with the team, earning a full-time ride for '79. The uber-talented Mears went on to win three CART championships over the next four years, also winning the '79 Indy 500 and finishing a close second to Gordon Johncock in the '82 500. Penske also hired veteran Bobby Unser in 1979 with Mario Andretti continuing in a third car whenever his Formula One commitments with Lotus allowed. It was a true 'Super Team' and they showed it by scoring a one-two-three sweep in the '79 California 500 at the Ontario Motor Speedway. In comparison, Penske's current lineup of Castroneves and Will Power looks feeble at best. If Roger hued to the same high standards today that he did a third of a century ago he surely would fire Castroneves at the end of this year and replace him with a younger, more motivated driver. He would also give Power the boot. I have to say I like Will. He's a nice fellow and a fast driver, but he's no Rick Mears. Power makes far too many mistakes and lacks the cool, calculating style that made Mears such a great driver and brought him four Indy 500 wins. Power has been racing Indy-type cars since 2005 and has spent five years with Penske without much to show for it other than a trio of lost championships in 2010, '11 and '12. Of course, if he were to decide to get rid of Power and Castroneves there's nobody available to Penske remotely in the same league as Mears, Unser and Andretti. He could gamble on somebody like James Hinchcliffe, or try to buy Ryan Hunter-Reay out of his contract with Michael Andretti, or give JR Hildebrand an opportunity to redeem himself. But none of those options seem likely possibilities. In fact, it's a sad indictment of the state of IndyCar today that the existing talent pool lacks any great drivers like Mears, Unser or Andretti. So Penske may find himself compelled to maintain the status quo and hope that Castroneves somehow recaptures a little of his youthful flair or Power miraculously turns a corner and develops into a thoughtful, race-smart driver. Neither possibility seems very likely but if Castroneves wins this year's IndyCar title it will be Penske's twelfth USAC/CART/IRL/IndyCar championship and his first in twelve years so Roger could feel justified in not making any changes. From a broader view, my European colleagues who cover Formula One are mystified that Penske continues with Castroneves and Power. Their attitude toward drivers is much more hard-core than people in IndyCar today, but every one of my F1-covering colleagues believe Castroneves is long past his sell-by date. They also shake their heads about Power and the many mistakes he's made and opportunities to win races and championships he's thrown away. In contrast to Penske's approach, Red Bull and Ferrari are shaking up their driver combinations in Formula One next year. Red Bull will replace Mark Webber with promising Toro Rosso up and comer Daniel Ricciardo while Ferrari will bring back Kimi Raikkonen to partner Fernando Alonso in a potentially fiery combination. These moves have featured plenty of intrigue and speculation, feeding the ongoing melodrama that fuels F1's massive global coverage and fan following. In a similar, if smaller way, an inspired selection of new drivers by Roger Penske for 2014 could provide a useful boost for both Team Penske and IndyCar.